Get together of Girls from Lumezzane and Brignano( Italy), from December 28th to the 30th, 2016. 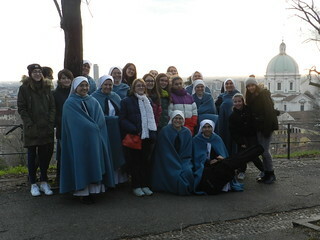 Six girls from Lumezzane and six girls from Brignano came together to have an encounter with the main theme being the words 'Per carità', in order to deepen in true charity and in true love. On the first afternoon of the get together we had the introduction, where we presented the theme and the figure of Dorothy Day, and cited her reflections: ‘I really only love God as much as I love the person I love the least’. There were no shortage of games, moments of conversations while having desserts, songs, prayers ... 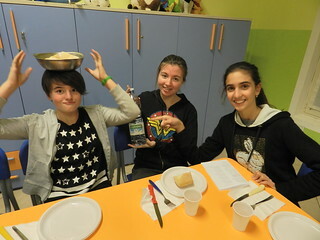 But among the most outstanding activities we did, many of the girls highlighted the visit to the nursing home, 'La Residenza Le Rondini', in Lumezzane, where for two hours on Thursday morning we sang carols to the elderly, talked with them, and also the sharing with the 'great refreshment' provided by the organizers of the residence. In the afternoon we went to the city of Brescia, to see the exhibition of Nativity Scenes in the old cathedral and then we had mass in the Church of St. Zeno Foro. On the 30th, after dinner and a final reflection on the things we had learned, we said goodbye because Brignano's group was returning home. 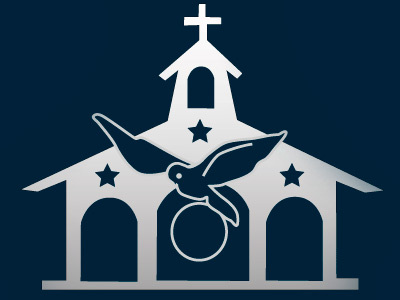 We entrust to the Lord and to Our Mother, the Blessed Virgin, all that was received in this get together. We ask that they continue to protect us and to guide the Home of the Mother of the Youth of Italy in the way towards true holiness.